Winter salads, late February in the unheated greenhouse, in a tray of cow manure and compost: pak choi, red and green spinach, Red Frills mustard and chard. The same plants 11 cold, dull days later: there is electric warming cable! After an enduringly cold winter we could do with some warmth in March but the first two weeks look like continuing chilly, meaning there is definitely no rush to sow seeds outdoors, apart from broad beans which mostly tolerate a slow start in cold soil. They can be helped by sprouting the seed indoors – soak them for 24 hours, then drain and rinse and keep at room temperature, rinsed daily. After five to seven days there should be small roots on most of the seeds and they can be sown as usual, if a little more carefully because of the fragile root. Peas can also be treated in the same way and I have done both of them, sown outdoors in late February and with fleece on top. But I am not convinced they are loving the weather! My clay soil is extremely sticky under the top mulch of soft compost. I recommend waiting until mid month before making outdoor sowings of spinach. Choose a variety to suit your needs, for example the oriental ones such as Fuji and Galaxy will grow faster, but they also flower more readily, so total yield is lower. 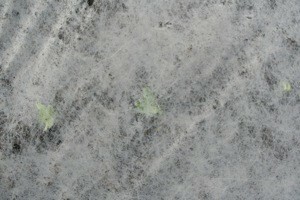 Whereas conventional varieties such as Emilia, Tarpy and Lazio are a little slower to grow, and then crop for longer. My favourite is Toscane which is probably the slowest of all and produces thick, dark leaves which can be picked individually over a long period. Last year’s sowing in mid March cropped from late April until early June. 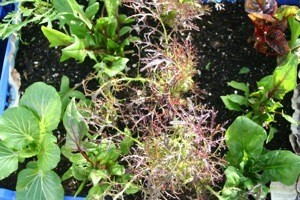 See www.tozerseedsdirect.com for purchase of these varieties, and many other good ones too. After mid month there is a lot of sowing and planting to do, especially as the moon is waxing in that fortnight. Also the equinox weekend of 20th to 22nd is generally an excellent time for many root vegetables and the bonus of a moon in Taurus favours plantings of onion sets, potatoes and parsnips; but I am waiting until early April before sowing carrots and beetroot outside. 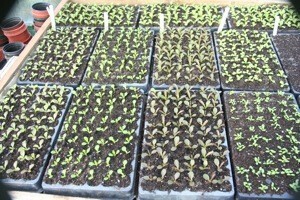 Indoor sowings are another matter and if you have a greenhouse or conservatory there is plenty to do. Almost all vegetables for indoor growing can be sown now, such as tomatoes, aubergines, peppers, chillies and melons. 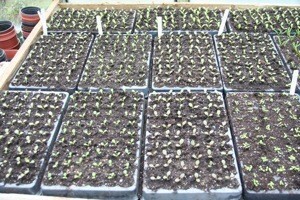 They will germinate best if you can provide some extra warmth, such as an electric propagator. Wait until April before sowing cucumbers and basil because they need to be kept growing in consistent warmth and can suffer if there are too many dull days in March. Other indoor sowings for this month include lettuce, spinach, parsley, early cabbage, calabrese, salad and bulb onion, shallots, beetroot, peas, broad beans, celery and celeriac. A busy time. In my greenhouse the January sown lettuce have grown more slowly than usual and should be ready for planting out in late rather than mid March. 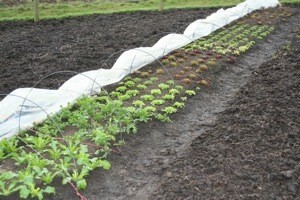 Spinach, broad beans and peas for salad shoots have already been planted out under fleece. While they were growing in the greenhouse I trapped another couple of mice who had been nibbling the bean seeds – do watch out for mice because whole sowings can quickly be eaten otherwise. Polytunnel and cloche salads have resisted the cold nights extremely well, my only casualties being a quarter of the lettuce whose stems have rotted. Leaf quantity and quality is now increasing noticeably with every week: even if it stays cold, there is a lot of extra light. Outdoors I was surprised to see how much the frost has damaged purple sprouting, whose stems are now largely rotten. Whereas on Steph’s allotment, the same plants in similar soil have mostly survived, the only difference being that she had slung a net over them as protection from deer. 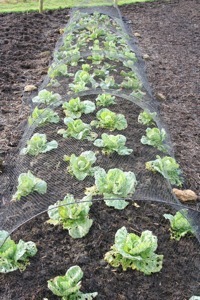 It seems that the thin netting may have afforded just enough wind/temperature protection to save the plants! 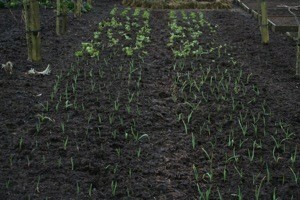 Garlic is now beginning to grow quite strongly and is a lovely vegetable to have on the plot in March. Even the broad beans next to it are looking quite perky, as well as some sorrel. I am not saying much about preparing ground here because there is a growing body of information in the forums. Do use them if you want to ask something or make an observation that may be helpful to others, such as the incendiary idea on dealing with rats. I recently tried something similar in a rabbit hole near my compost heaps, then noticed some fumes coming out of a hole nearby, so I blocked it up. But a new hole has now appeared in one of the compost heaps, so I plan to turn it next week in the company of Tigi…..
PS winter mean temperature here in 2008/9 was 3.2C, the lowest since 1995/6. This year it was 2.5C (December-February).